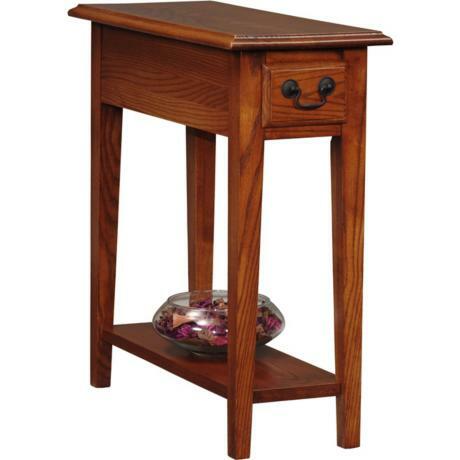 Complete your living room decor with this great looking side table. In a rich medium oak finish, this handsome side table will add storage and display space while it stylishly complements your décor. Simply but beautifully constructed, it boasts of hand-applied medium oak finish that reflects the tender loving care that went into its design. • One solid wood drawer with dovetail joinery.